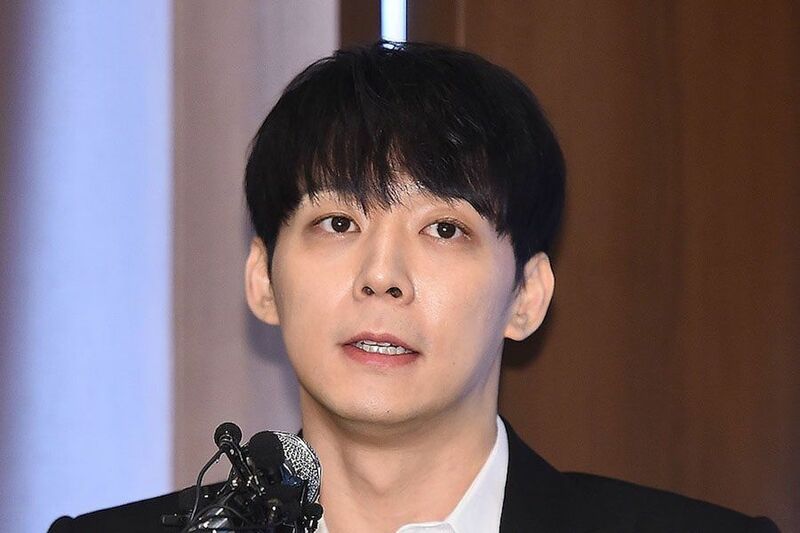 Yoochun, who is currently being sued over alleged sexual assault, called a press conference recently to refute reports that he was the celebrity that Hwang Hana mentioned as coercing her to continue using drugs (Philopon/meth). Hwang Ha Na, Park Yoochun’s ex-girlfriend and the only granddaughter of Namyang Dairy Products’ founder, stated in a recent court questioning that she was coerced by celebrity friend “A” to administer drugs. She added, “‘A’ forcefully injected drugs into my body while I was asleep,” and said, “‘A’ would get drugs or order me to get drugs.” The police have booked “A” and requested for a warrant to search and seize their call records and location information. It was reported that the police are considering summoning “A” for questioning after finding enough evidence about the celebrity. “A” is currently residing in Korea. In the statement he gave to the press, he starts by talking about receiving treatment for depression. Hello. This is Park Yoochun. I had many thoughts and worries before coming here. It was a very difficult time. However, after gathering courage I decided on holding this [press conference] because I thought it was right for me to speak about everything honestly in person. I had been receiving treatment for depression. For a while I went through long investigations and despite being confirmed to be innocent legally, I spent a painful period being rebuked by society and feeling shame and a guilty conscience. I would show self-restraint and self-reflection and think that I could start over again, and then be seized with thoughts of wanting to die. When moments of being unable to forgive myself came, I wouldn’t be able to sleep and looked for alcohol. I received treatment for depression at a mental clinic and spent days barely falling asleep with the prescribed sleeping pills. He then moves on to denying ever doing drugs. I have never used drugs. I was so scared that I could be mistaken as the celebrity who suggested Hwang Ha Na to use drugs when I saw the reports and details about the drug investigation. I was terrified that I would turn into someone who uses drugs even though I have never used drugs. I was frightened that no matter how hard I try to deny it, there would be no way for me to avoid becoming that. However, even if I get investigated by an investigative agency, I thought that I should say this in person because I have never ever used drugs. He then clarifies his relationship with Hwang Hana. First of all, I broke up with Hwang Ha Na early last year after deciding to break up. After breaking up, I was harrassed by threats from Hwang Ha Na. Nevertheless, she is someone who liked me and stayed by my side in 2017 when I was going through a very difficult time and thought that the whole world had turned its back on me, so I felt sorry. This is why I would apologize, comfort her, and listen to her when she would suddenly contact me or come to my house to complain after we broke up. At the time I was very distressed and fell asleep after taking sleeping pills. I know Hwang Ha Na was taking sleeping pills because of depression, but I have nothing to do with those pills. She has not talked about a history of drug use or using illegal drugs in front of me. After we broke up, she kept telling me that her depression symptoms got worse and that she resented me. I also found out through reports and felt very surprised and sad. However, I have never used drugs and let alone never suggested it. I criticize myself every day as I endure pain and work hard to be able to act again and have activities. Therefore, I cannot even imagine that I would think of using drugs, which would make all of my efforts come to nothing. I will earnestly go to the police station and be investigated. I came here with a desperate heart because if I am found guilty of the suspicions, even more problematic than having to stop activities as the celebrity Park Yoo Chun and retiring, is the fact that my whole life will be unjust. I sincerely thank you for coming here and listening to my story. So he denies being the celebrity Hwang Hana was talking about, and not only denies coercing her to use drugs, but denies using drugs at all. I suppose we’ll find out soon enough whether he was the celebrity given that police have booked the individual already, but even if he is who was mentioned, whether he actually did anything is up for debate since Hwang Hana is anything but reliable. Police say that Yoochun is not confirmed to be the celebrity mentioned by Hwang Hana. Police said they have never contacted Park Yoochun’s company. They also revealed that Hwang Hana never told them the identity of Celebrity A, therefore they couldn’t confirm who it is. Interesting that she apparently is not ratting the person out.